While dealing with the recently-revealed secrets from her past that came to light in My Way Home: Volume I of the St. Gabriel Series, in Volume II, Sweet Gabriel, Cammy Coleman prepares for her second winter and season on St. Gabriel Island. She enjoys discovering island traditions, and shares them in a way that gives readers the experience of living life in a place with the pace and feel of years gone by. But as Cammy begins getting answers about her past, new secrets surface that could impact the entire community. 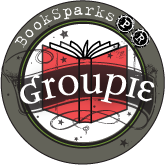 Embarking on a 'puzzlepalooza' to uncover a mysterious truth about St. Gabriel, Cammy learns surprising truths about herself and her family and friends along the way. Told once again in Cammy's quirky, journal-like style, Sweet Gabriel delves into her inner-most thoughts about love, parenting, and life. She also describes in scrumptious detail her love of decorating, food, gardening, inn keeping and more. A few years ago, I read My Way Home and gave it five stars. It's a story that has stuck with me for a long time, favorite characters that you just have a glimmer of even after much time has passed. It was such a poignant novel that I was completely surprised to find out that Cynthia had written another installment, bringing back to life (in my mind) some of my favorite people. I never imagined that My Way Home would become the first in a series, but I'm completely delighted. The return of Cammy Coleman is wonderful and I really enjoyed seeing how she has finally settled on the Island and with the inhabitants. But this time, she embarks on solving a mystery on the island, as well as learning some new things in her past. St. Gabriel has it's own pace and they have their own way of doing things. It's a place that I imagine living many times - just to get away from it all. Also, Cynthia has this magical knack of creating characters that you can easily relate to, connect with and that take you with them on their journey they call life. 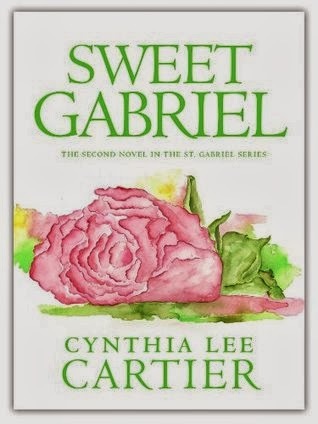 Definitely plan some time when you pick up Sweet Gabriel because you will be hard-pressed to put it down. You can read Sweet Gabriel as a standalone, but I'd highly urge you to pick up My Way Home first. Another heart-warming story with suspense, family and more that will entrance you. Highly recommend!